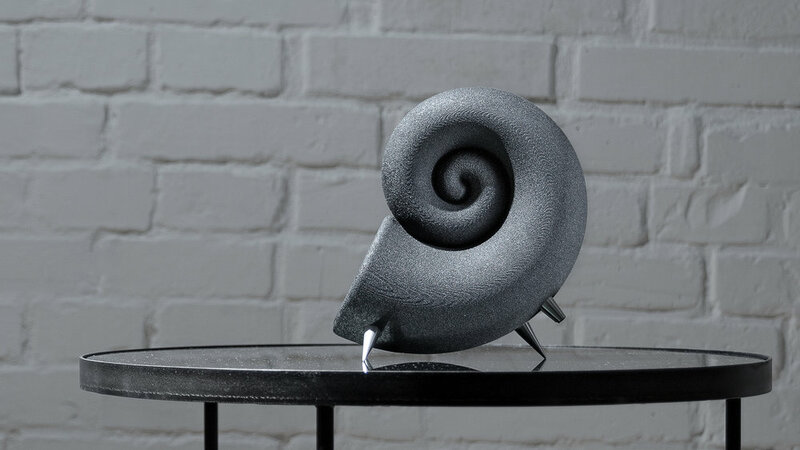 Using the most advanced design software, we have integrated a smartly selected speaker driver with an outstanding performance into an acoustically optimised single piece spiral cabinet 3D printed from truly natural material - the silica sand. When it comes down to music, these premium speakers will help amplify your music experience to a whole new level. We live in a time where music can be found everywhere; the only difference is how you are listening to your music. To step above the rest, and listen in style, unique speakers are the way to go. The speakers are designed at an ergonomically calculated angle to aim directly to your ears. Whether placing the speakers on your desk or TV table, you are already sitting in the sweet spot experiencing the optimal enjoyment of the speaker configuration. If there is such a thing as a perfect shape, it’s the golden spiral. A twin to the golden ratio, this sacred geometry manifests throughout nature. Yet the organic form always follows function. Nothing in nature is superficial. The spiral-shaped cochleae present in the human ear greatly extends the range of frequencies and octaves we can hear. Nature’s perfect shape enables humans to deeply appreciate the most magical thing we have ever created – music. The design of the Spirula speakers is based on this principle. 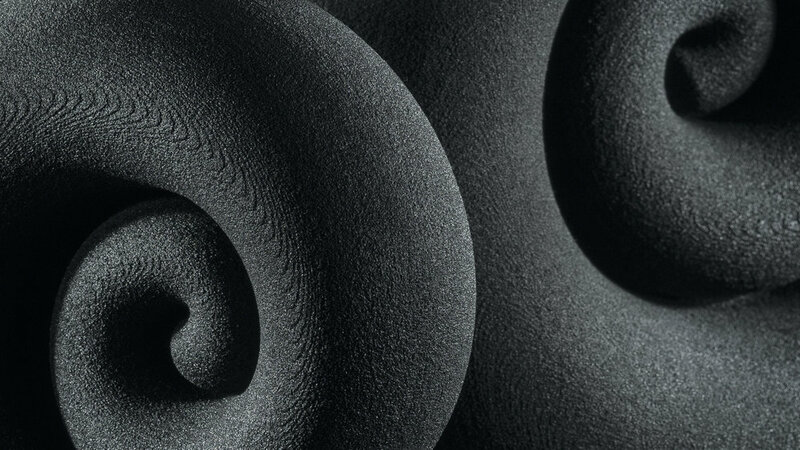 We developed a brand new composite material offering pioneering design solutions. The freshly printed silica sand cores are porous and brittle. When infiltrated by our bespoke hardener the cabinets turn into an air-tight and resonance free form. Driven by 3” full-range driver with a bamboo fiber paper cone, structured Santoprene surround, and powerful underhung motor. The driver delivers impressive response from 75 to 20,000 Hz with very low distortion. Full range driver is housed in the tapering wave-guide spiral that effectively stops sound waves being radiated from the rear of the unit. The tube is also filled with absorbent fibre, which soaks up the sound energy from the back of the driver. They say the devil is in the details and we dug deep for a long time to achieve perfection in every single detail. Fought off plenty of devils along the way. Buy yourself a handcrafted piece of the limited edition of only 1618 pairs. The speakers are dispatched within a week.